Where can I find these chairs? Those were the client's own which I had recovered. They had been with her for many years but were given new life when we chose this textured fabric. 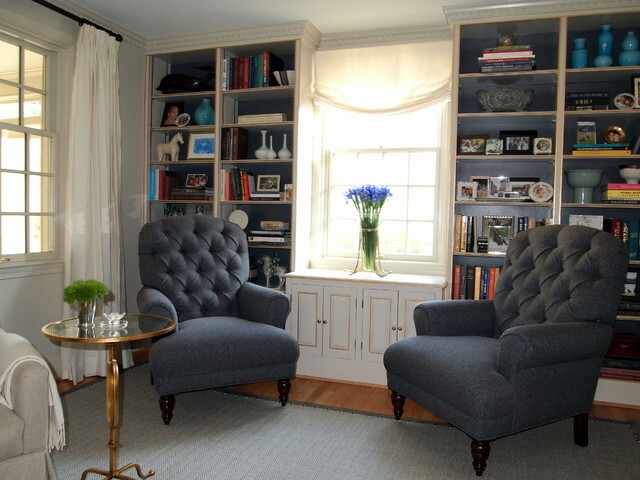 Where can I buy grey flannel like you purchased for these chairs? Paint color! - I love it! How deep are the shelves and cabinet?